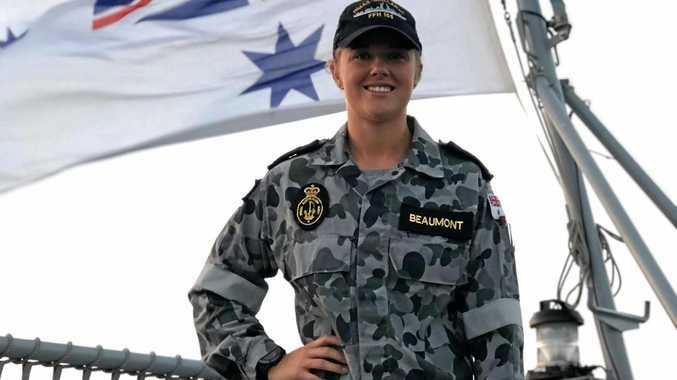 A DIVE operator aboard a boat on the Great Barrier Reef has captured the amazing moment the crew were treated to an unusual weather event. Four waterspouts were spotted 65km north-east of Port Douglas on Saturday morning, with the phenomenon lasting about 20 minutes. For dive operator Kai Steinbeck the sight was unexpected, even after years on the water. "I've been doing this for 25 years and to see four in a row like that, it's very rare, it was fairly spectacular," he said. "Sometimes you'll see one, but to see four, well that's really something." Mr Steinbeck said the sky was split in two by the waterspouts which darkened the clouds. "It was a beautiful day then within about five minutes it turned darker and you could see sunshine on one side of the boat, and the waterspouts on the other. "After about half an hour it all blew over again," he said.